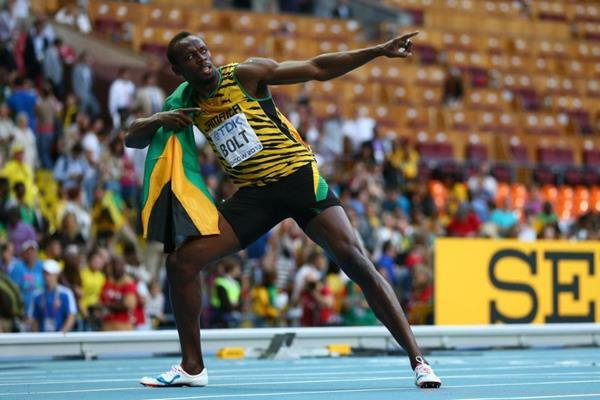 Usain Bolt won the 200 meters World Championship title in Moscow, in a relatively slow time — 19.66 seconds. 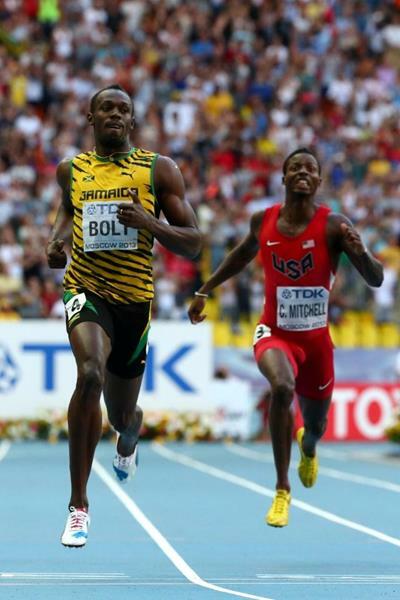 He actually ran a pretty good race, and started slowing down 50 meters from the finishing line as Warren Weir manage to reduce the gap between them to just 0.13 seconds. 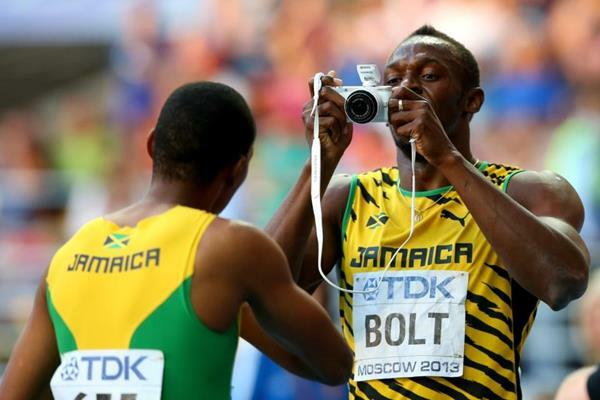 It was Bolt’s third consecutive World 200m title. 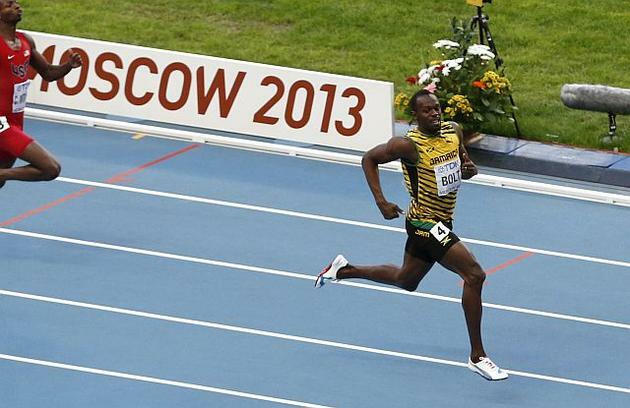 Fellow Jamaican Warren Weir finished second, matching his personal best time of 19.79 seconds. 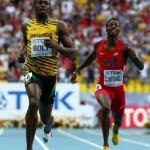 USA’s Curtis Mitchell denied Jamaican Nickel Ashmeade the Bronze by running the distance in 20.04 seconds. 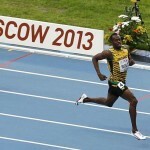 One hundredth of a second faster than Ashmeade. 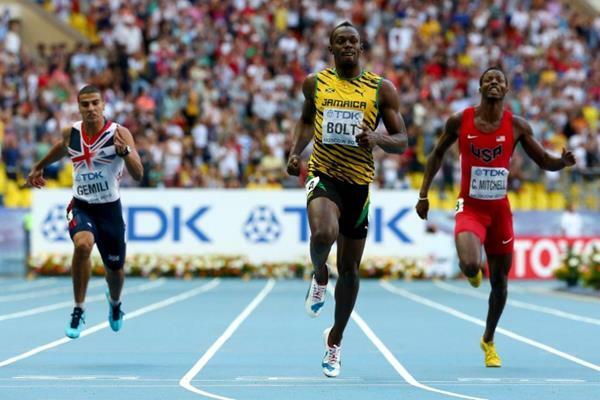 The United Kingdom sensation, youngster Adam Gemili couldn’t match his personal best time of 19.98 seconds that he ran in the semi-finals. He finished in 5th place. Ah! There it is, the finishing line! They made this camera a lot cooler than the previous version! Why waste your time comparing, people? If he didn’t unusually slow down at the final portion of the race, I believe he would definitely run under 19.30 seconds. 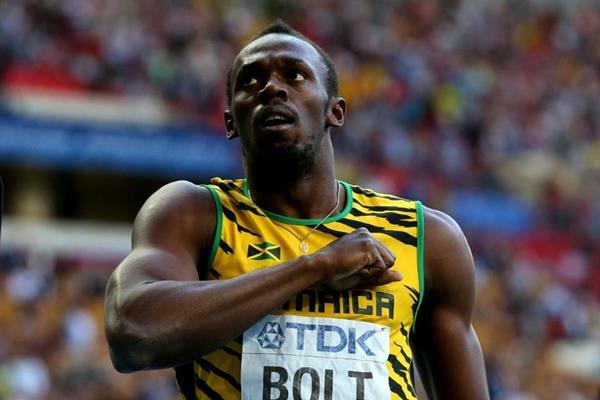 He would’ve even had a chance to break his own 19.19s world record that he set in Berlin in 2009. 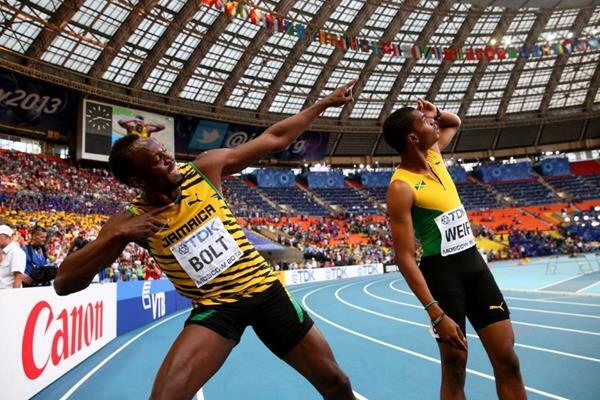 At one point, as Bolt was approaching the finishing line, Warren Weir was coming through real fast, and it almost seemed like he was going to overtake Bolt, which fortunately for Bolt, didn’t happen. 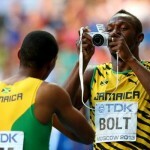 This was the only disappointing part of Bolt’s race. I didn’t get why he wouldn’t atleast attempt to break his world record again, while he’s arguably in his physical peak. Maybe he’d choose another platform for accomplishing that task. 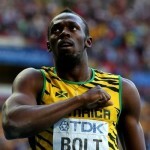 😉 For now, his goal is to win the Gold medal in tomorrow’s Men’s 4×100 meters relay. 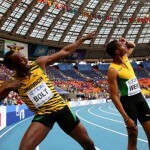 If Jamaica wins that race, Bolt will equal Carl Lewis’ record of 8 World Championship Gold medals.